Fibonacci and Fibonacci-like number pattern problems, where the next values in a sequence are dependent on prior values. These number patterns are fairly easy to understand once the basic rule is explained. 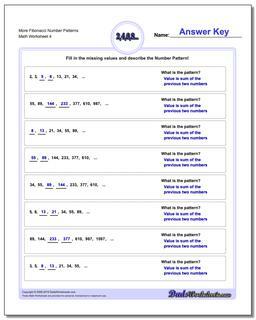 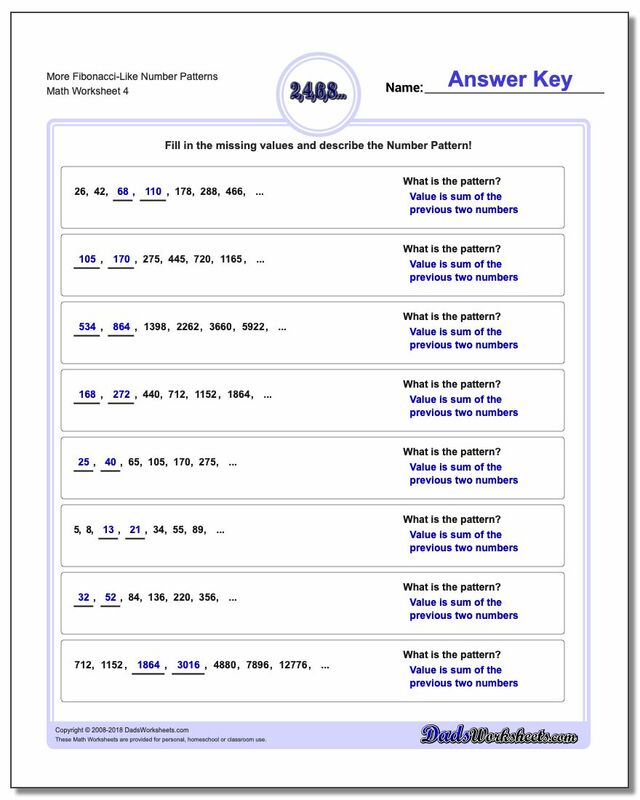 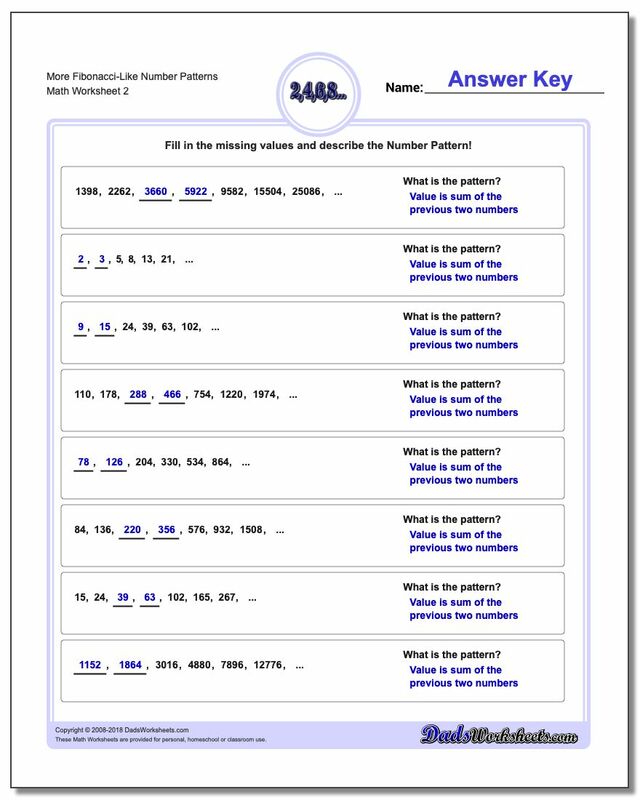 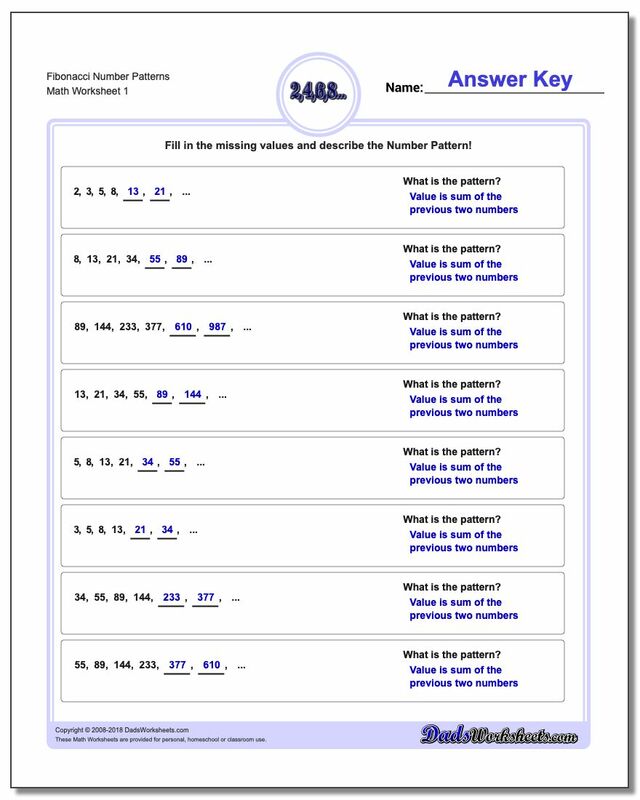 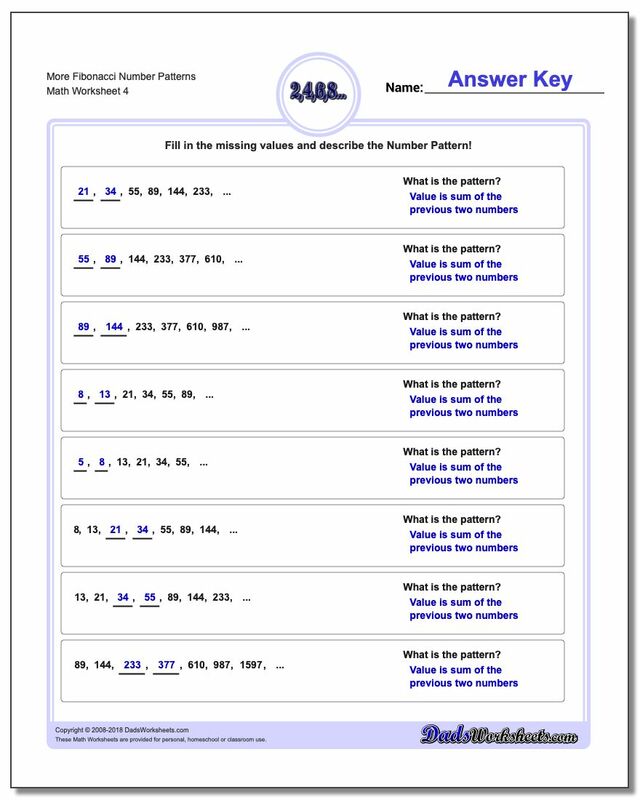 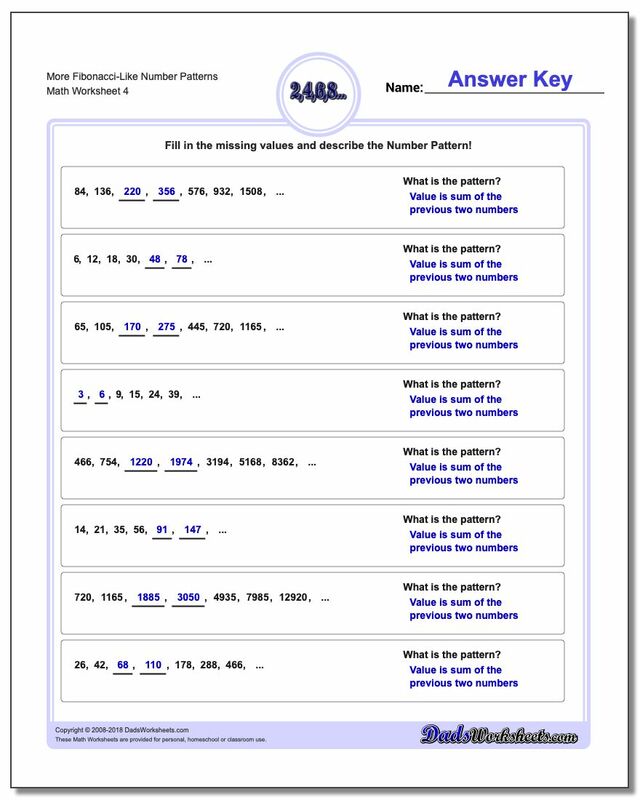 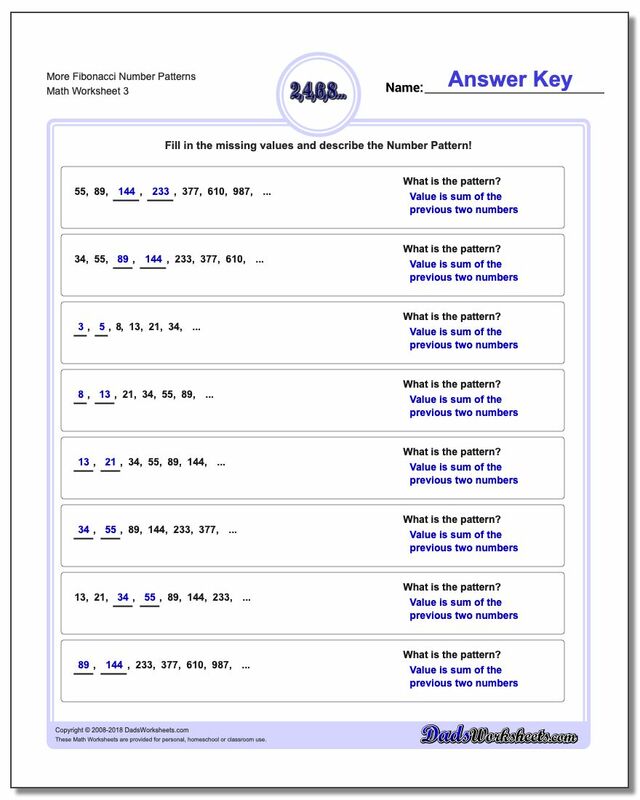 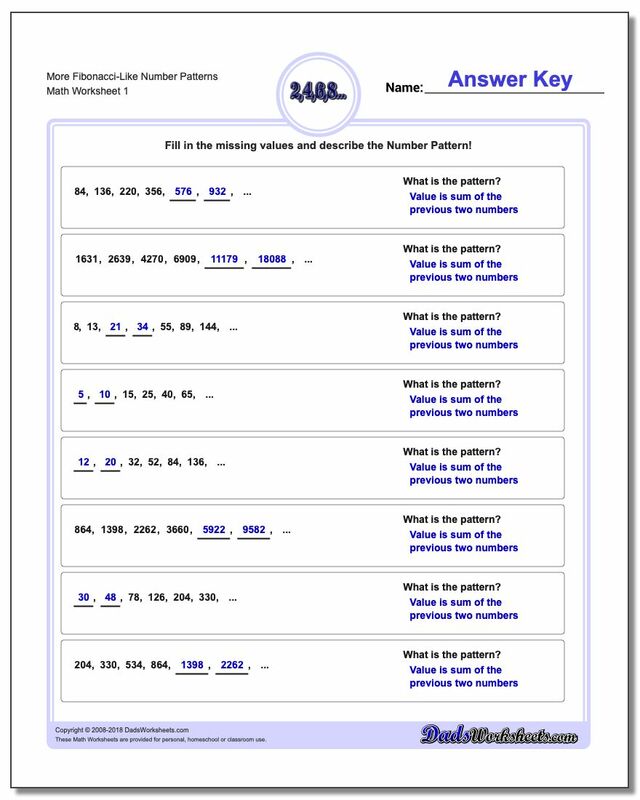 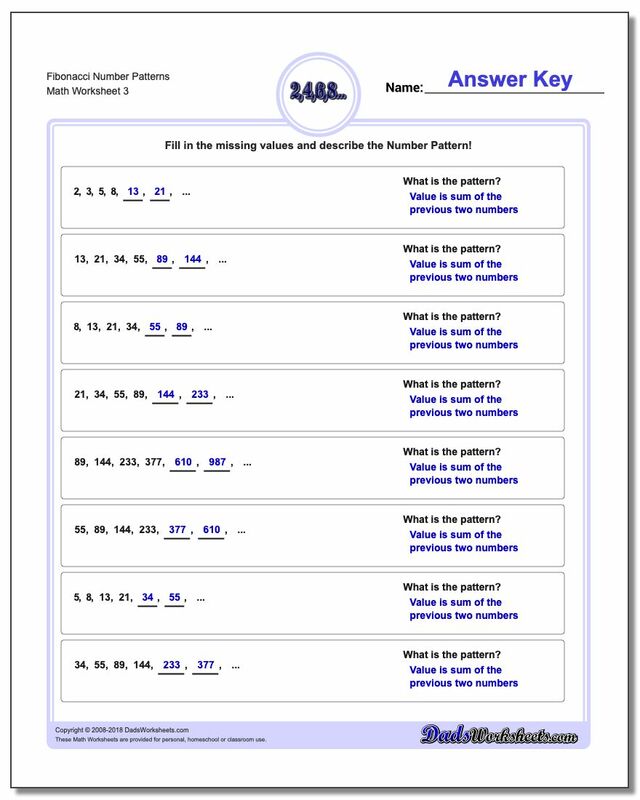 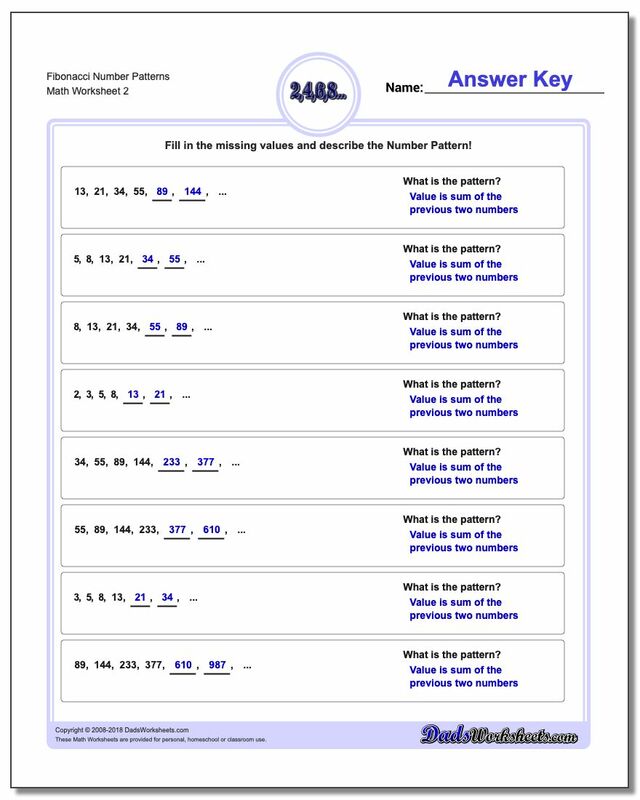 The pattern of adding the prior two numbers requires students to look back two places in the sequence instead of just one, and uses the actual value from the sequence to get the next results. This is a slightly more complex step compared to iterating a simple addition or subtraction pattern, and it often stymies a student when they first encounter it. 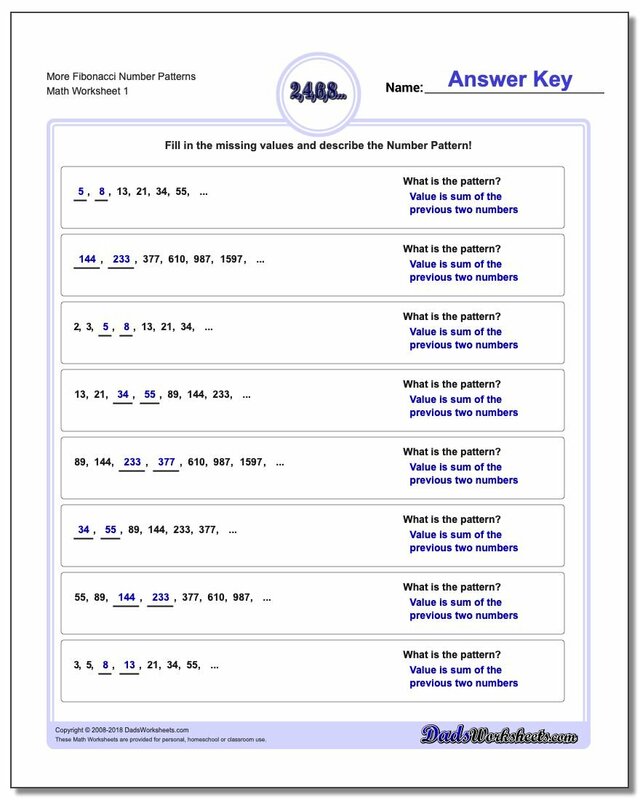 However, because the Fibonacci sequence occurs very frequently on standardized tests, brief exposure to these types of number patterns is an important confidence booster and prepratory insurance policy.